PT. 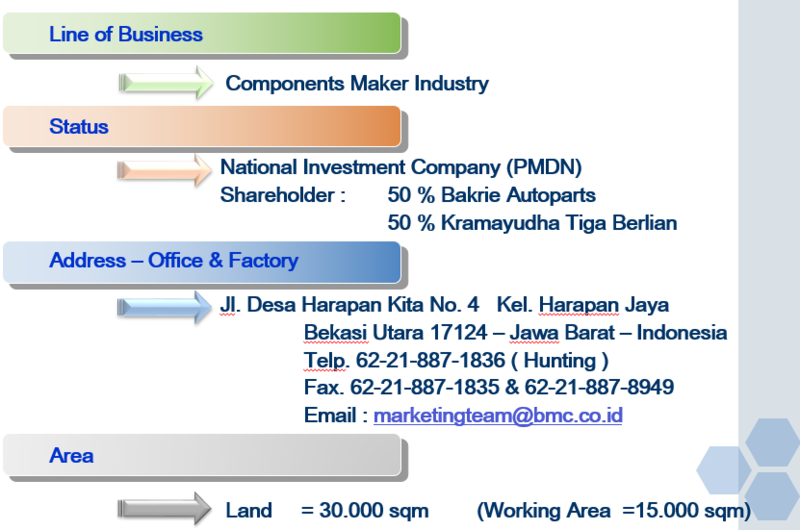 Braja Mukti Cakra (BMC) was established in 1986 with the joint initiative between PT. Krama Yudha Tiga Berlian Motors as the well know sole agent and brand owner of Mitsubishi Indonesia and PT. Bakrie Tosanjaya – the first foundry plant in Indonesia.